Redmond Says No “Plan” to Send Large Updates Over Metered Connections; Dear Microsoft, When Will You Learn? We reported earlier in the week that Microsoft was planning to get back some control over how users download and install their updates. In one of this week’s Creators Update Preview builds, a slight change in the text revealed that the company was planning to have control over downloading some updates on Windows 10 metered connections. This meant that while Windows 10 Anniversary Update currently cannot download updates on metered connections, with the Creators Update, Microsoft will start automatically downloading some updates. The Windows 10 metered connection essentially means the type of internet connectivity that limits the amount of data usage per month and charges heavily for extra MBs. This means users could possibly face some large bills if Windows 10 starts to download even small updates over metered connections. Following this report, we had contacted Microsoft if this is just a change that they are experimenting in the Preview builds and won’t be released to the public. We also asked if the company indeed plans to release this change, what updates would exactly fall in the category of making Windows run smoothly? This statement doesn’t clear up anything since – again – what exactly would be considered critical fixes? Would this mean every Patch Tuesday will be considered as critical updates? Apparently not. Microsoft led us to this web page for more information. While there’s nothing written about “critical fixes” exactly, the document does offer an explanation of what a critical update means. Nope, doesn’t have to do with security. We may have hated the annoying notifications to install updates that were debuted with Windows 10, but this new approach takes the update process even further. Windows 10 metered connection dilemma – how about ‘another’ nagging screen or a timer? At this point, it’s positive that Microsoft is at least responding to the concerns. It’s also understandable that the company wouldn’t want to have millions of unpatched Windows 10 computers out there. But, it would be way better to give control back to the user with maybe some tweaks? How about a deadline that if a user doesn’t download a critical update for a certain period of time, they will be automatically downloaded. This way, they might actually go to a cafe or some other place to use a connection to save costs. 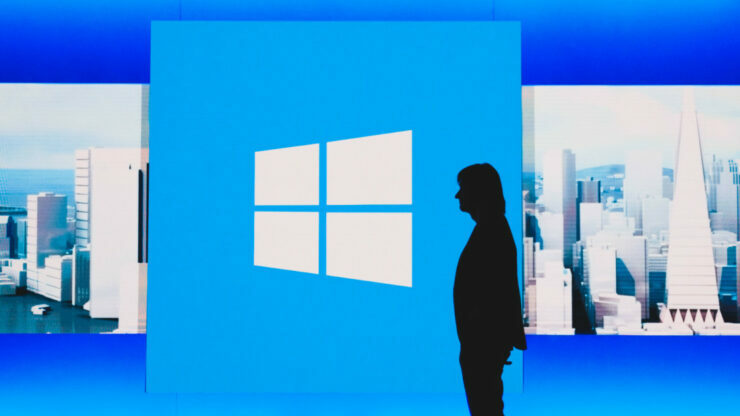 The currently proposed feature – that will probably go live on April 11 – would just make it worse for users since they would never know if Windows tries to download an update even if they’re momentarily on a metered connection. What if someone would be willing to risk not having Windows running “smoothly” over incurring heavy charges. Shouldn’t it be the user’s call to decide what and when they want to download something? It is also unclear what cap is Microsoft using on the size of these critical fixes to ensure they aren’t too big. Even if they are small, what if a user has already consumed their monthly data plan and cannot afford even a few extra megabytes?